Where did summer go, anyway? Not that I’m complaining, because Fall is by far my favorite season, but is anyone else experiencing the “where did summer go, anyway?” feelings that I am? I read a blog post today where the author made a short list of some of her summer memories from 2013 and commented on how she was already beginning to forget some of the details from the fun she had over the summer. I wanted to make my own list to help remember some of the fun Hubby and I had during the summer of 2013. · On Father’s Day (yes, not technically summer yet, but close enough), we were excited to tell our families the exciting news about Baby D! · We spent many a day (though maybe not as many as I would have liked) out on the river with friends. There’s something that is not much better than a hot day out on the water, whether you spend your time on one of the boats or relaxing in the water at the sandbar. · We took in a few local baseball games – go Hillcats! – and enjoyed (well, we started out enjoying) following the Phillies (until it all went downhill……). · We got to take our first real vacation in the past five years and man did we enjoy our days at the beach. Being able to rest, relax and enjoy the sun and the sand with family was wonderful! To be honest, we didn’t have a lot of major trips or big experiences, but the summer has been wonderful. We’ve worked hard, we’ve enjoyed our home and our hoolies and we have thoroughly enjoyed these first few months with Baby D.
As Baby D keeps growing and developing, more fun starts with prepping his nursery, taking classes and just learning as much as we can before the beginning of the year. I know I’m also hoping to take in a college football game or two this fall, and there’s always the NFL and NHL. I think I’ll be getting my fill of fall sports, and I absolutely looking forward to it! What fun plans do you have for this fall? So, throughout my pregnancy, I have been asking at each appointment to make sure it’s ok that I continue to run. Now, I’m running slower and slower, but I feel like the running will help keep my weight gain on track as well as hopefully make delivery and recovery that much easier. So, this is my question to you, readers, how do you keep up the motivation to run (or do yoga, or do Cross Fit, or whatever you prefer) when you have other things that seem easier or more fun that you can be doing? Any tips? I wrote a whole post introducing my hooligans, but since blogger isn’t currently allowing to add photos to the post, I’ll save that for another day. To be fair, it may be the ancient-ish computer I’m working on, but I have no real idea when that’s going to be replaced, so I’ll just go with the flow. Keeping with the “go with the flow” mentality, here’s a bit of a brain dump, because, you know, it’s Friday, and it’s been a tiring week. I’m pregnant with our first child and I’m almost 21 weeks along. We get to find out the baby’s gender next week and I couldn’t be more excited. I’ve decided to invest a little more in the reveal than I have thus far, so I’m perusing Pinterest and other sites for ideas. This is an idea that I got excited about until I thought about the clean up afterward. I also realized this morning that I really should be more empathetic towards my dogs. While I love them all with my whole heart and would do just about anything for them, I tend to not be thinking nice thoughts when they start fussing in the middle of the night. Take last night for example, someone started whining, barking a little and generally carrying on in the middle of the night. I chastised her and then proceed to try to go back to sleep without finding out exactly which one was making all the ruckus and seeing what she wanted or needed. What did I wake up to this morning? A major mess in the basement made by a little lady whose stomach was obviously bothering her last night. She, I now know it was Abby, tried to communicate that she needed something last night, but I chose not see what she needed so she ended up going to the bathroom in the basement by the basement door. She knew she was supposed to go outside, but I wasn’t up to let her out. This kind of thing makes me sad. Other than a run with my training group tomorrow morning, Hubby and I have NO PLANS for this weekend! I love weekends like this. I tend to end up filling my time with puttering around the house, and hopefully cleaning, but it is so freeing to not have any prior commitments. Maybe I’ll actually try to finish a project or two that I have lying around the basement. Or, perhaps, I’ll take the time to pick out some books about pregnancy, babies, and the like. This little one will be here in January which is coming more quickly than I can really grasp. Speaking of running, I’ve had a hard time finding my motivation to run these past two weeks. I enjoy it, but there’s always the lazy part of me that would rather not put on the running clothes and take Bella out for a jaunt after work. I justify to myself that the run I skipped last night allowed me to get an inordinate amount of dog hair cleaned up (seriously, is there a locks-of-love for dogs yet? Also, how do two long-haired dogs and three short-haired dogs lose so much hair on a daily basis??) but really I could’ve done both. I tend to feel guilty when I skip out on runs and I’ve skipped more in the past two weeks than I like. Does anyone have any suggestions about finding my motivation again? 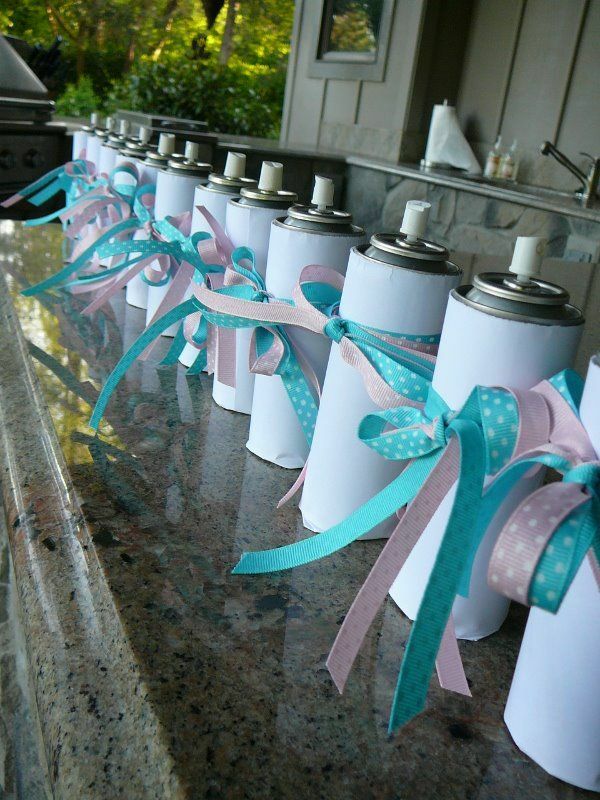 What about a gender reveal party? Did you throw one or participate in a particularly awesome one? Happy Friday, y’all and TGIF! Hubby and I got to go on our first real vacation in five years a couple of weeks ago. I mean, honestly, how bad is it when, though you go to the beach annually, you haven’t been to the beach in the summertime since 2008? Let me just say, the water at Sandbridge, VA is a lot more pleasant in July than it was in March (and I didn’t even participate in this year’s Polar Plunge!). We were spending the week with some of Hubby’s family who rent the beach house as often as they can. We spent hours and hours on the beach every day and thanks to a 12 x 12 canopy and many, many applications of sunscreen each day, no one suffered any terrible sunburn. Gotta be honest, friends, there’s no place better to be at 9:30 on a Monday morning! Hubby and I got to enjoy a date night one evening where we went out to dinner (we thoroughly enjoyed Tautogs), walked the boardwalk, road the Ferris wheel, saw some trapeze artists and even a carnival game or two. We also went out to eat with part of the family on our last night there. We went to Rockafellers where the food was delicious and the service was fantastic. I’d highly recommend it to anyone who likes seafood and a nice view of the water! The week included a couple of summer storms, lots of sunshine, and very cold water by the last day. All in all it was a great time, though coming home to a flooded basement only made me want to turn around and head back to the beach! What a great day for an inaugural post, huh? Happy 4th of July everbody! My name is Suzanna and I am the mama to five four-legged hoolies, well six if you count the cat, and we’ll have our first two-legged hoolie in January 2014! Though I wasn’t a dog lover growing up (my mom always said that she had plenty of mouths to feed without adding any pets), but when Hubby and I adopted our first dog right before we got married in 2005, some might say that the floodgates were opened. Three of our current dogs came from the local Humane Society, one was a “donation” from someone who couldn’t keep her after a breakup, and the “default alpha male,” Frank, was a “walk-on” (he showed up at our place and never left).